You all know that Amy has started school a couple of weeks ago. I mean, you can’t have missed it because I’ve been blabbing on about why I’m looking forward to her starting school, her first day at school ceremony and how she got on for weeks now, but today’s post is a little different. 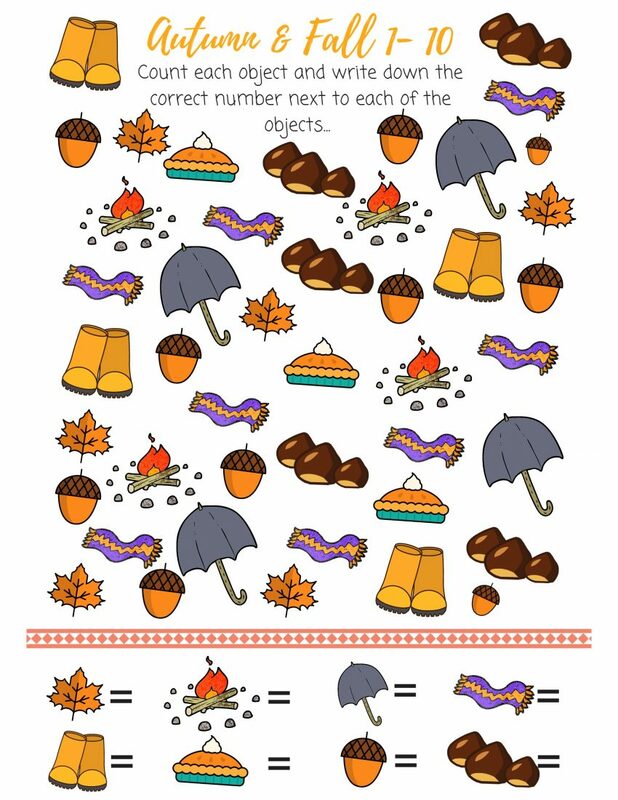 With my almost-teacher hat on (I didn’t finish my degree but am planning to go back to uni in spring), I’ve created an I Spy autumn printable for her with a fun little counting activity and I thought why not share it with you? 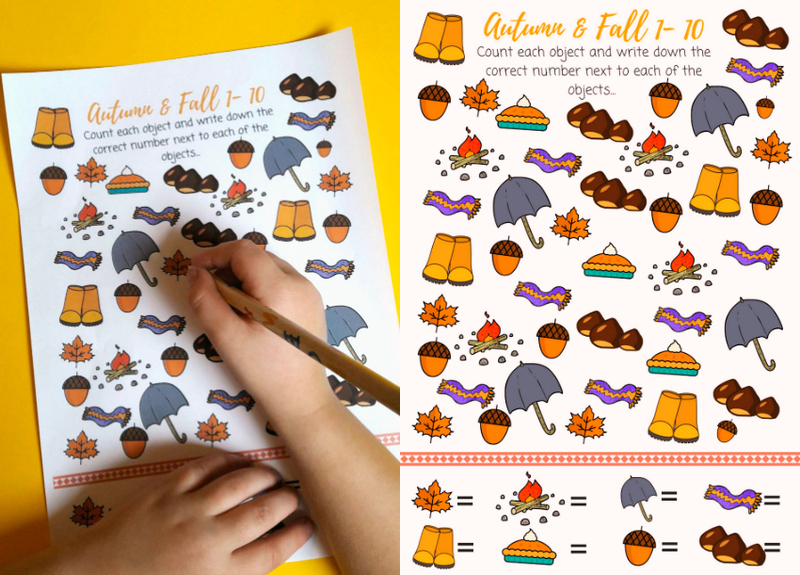 No matter if you’re homeschooling or simply after a fun learning activity on a rainy afternoon, this colourful I Spy Autumn Printable is perfect if you want to practise counting and writing the numbers from 1 to 10 without your kids even realising that they’re learning. Amy is having so much fun doing these that I’ve started to create some different themed I Spy printables that I’ll be sharing with you over the coming weeks and month – think Halloween, Christmas, New Year’s etc. I Spy games aren’t just super fun and perfect for long car journeys, rainy afternoons or home-education sessions, they’re also teaching your kids a bunch of skills that they’ll use all their life. Kids learn mostly through their senses, e.g. listening, observing and doing, so activities like these are a great way to combine all three of these senses and helping them learn. What can kids learn with the help of I Spy Games? But what exactly can kids learn with the help of I Spy Games? Well, I Spy games are particularly useful if you’re looking to teach your child numeracy or mathematical skills but they are also going to pick up important visual skills like visual discrimination and tracking along the way. Tracking and discrimination might not sound like very nice skills to have, but both terms are basically teacher’s jargon for being able to pay attention to details and coordinating your eye movement. Not bad at all, is it? Mathematical skills that children are practising when play I Spy Games are sorting and classifying objects, sizes, shapes, quantifying, counting and comparing. To download your free I Spy Autumn Printable, simply click the button below. I hope you enjoy it!